Netflix and Constantin Film today announced the start of production of Polar, a Constantin Film/Bolt Pictures co-production, in association with Dark Horse Entertainment. 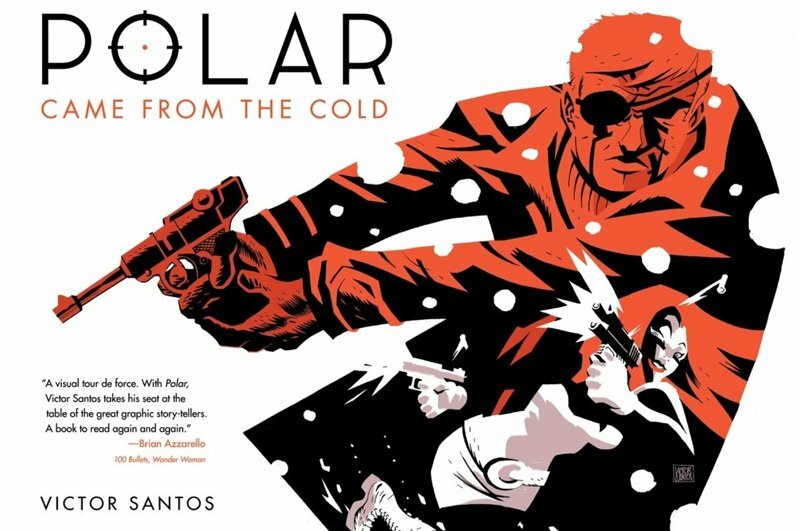 Polar is based on the Dark Horse action noir graphic novel Polar: Came From the Cold by Victor Santos. Starring in Polar are Mads Mikkelsen (Doctor Strange, Rogue One), Vanessa Hudgens (Spring Breakers, Beastly), Katheryn Winnick (Vikings), and Matt Lucas (Alice in Wonderland, Doctor Who, Little Britain). In Polar, the world’s top assassin, Duncan Vizla, aka The Black Kaiser, is settling into retirement when his former employer marks him as a liability to the firm. Against his will, he finds himself back in the game going head to head with an army of younger, faster, ruthless killers who will stop at nothing to have him silenced. The film will be directed by renowned Swedish director Jonas Åkerlund, whose last film Lords of Chaos recently premiered at Sundance Film Festival. Åkerlund has made his mark with his distinctive storytelling and visually driven signature style that often pushes the boundaries of the status quo. He is an internationally-awarded director of feature films, documentaries, concert films, music videos, commercials, and stage shows, working with high profile artists such as The Rolling Stones, Paul McCartney, Madonna, U2, Rammstein, Lady Gaga, Coldplay, and Beyonce to name a few. Åkerlund made his feature debut with the cult classic SPUN, starring Jason Schwartzman, Mickey Rourke and the late Brittany Murphy. He received Emmy and Grammy nominations for his work on Beyoncé’s visual album Lemonade. He’s won Grammys for his music films for Paul McCartney’s Live Kisses, Madonna: The Confessions Tour Live From London, and Madonna: Ray of Light. Written by Jayson Rothwell (Silent Night), the film is produced by Constantin Film’s Robert Kulzer (Resident Evil franchise), Jeremy Bolt (Resident Evil franchise, Death Race), and Hartley Gorenstein (Room). The executive producers include Constantin Film’s Martin Moszkowicz, Mads Mikkelsen, and Dark Horse Entertainment’s Keith Goldberg and Mike Richardson. The Netflix Film is currently shooting in Toronto and is slated for release on Netflix in 2019, excluding Canada, Germany, and China where Constantin Film will be handling distribution.